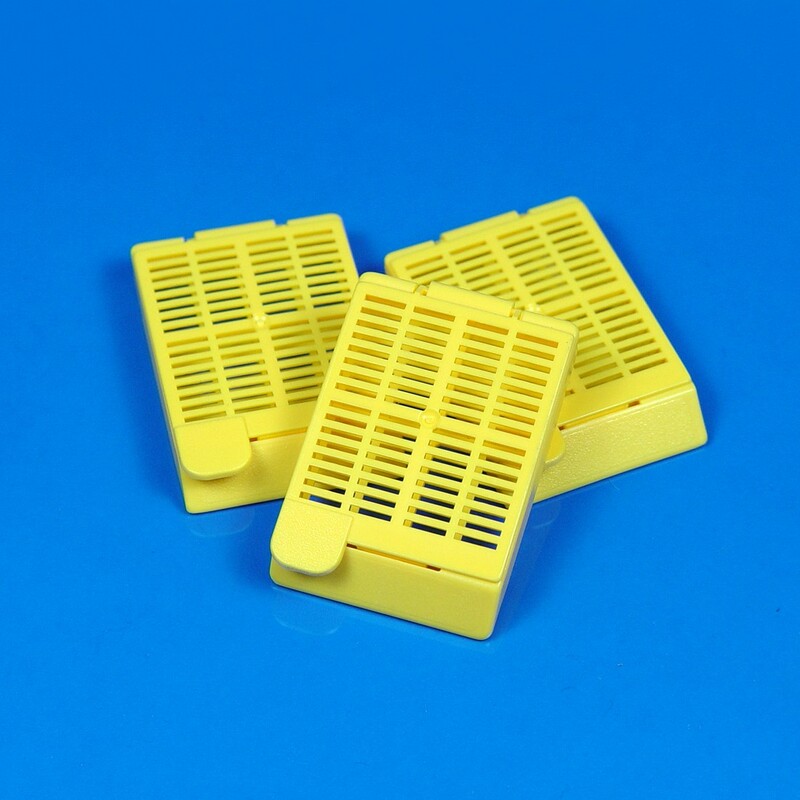 Tissue Cassette IV, Yellow | Polysciences, Inc.
Popular specimen containers used in specimen preparation for infiltration, embedding, and sectioning. Plastic lid and base are resistant to solvents, microwaving techniques and decalcifying solution. Universal size fits all popular base molds. Unique patented design permits maximum fluid exchange and drainage.